Added some traffic tips in the first post. I'm still trying to figure out how to maintain a city of 150k+ population without it crippling the economy. I cant find the specs required for the game, it looks kinda intense graphics wise.. help? Fire0nice228 wrote: I cant find the specs required for the game, it looks kinda intense graphics wise.. help? What will my Windows PC need to get SimCity running so I can build the best city in the world? 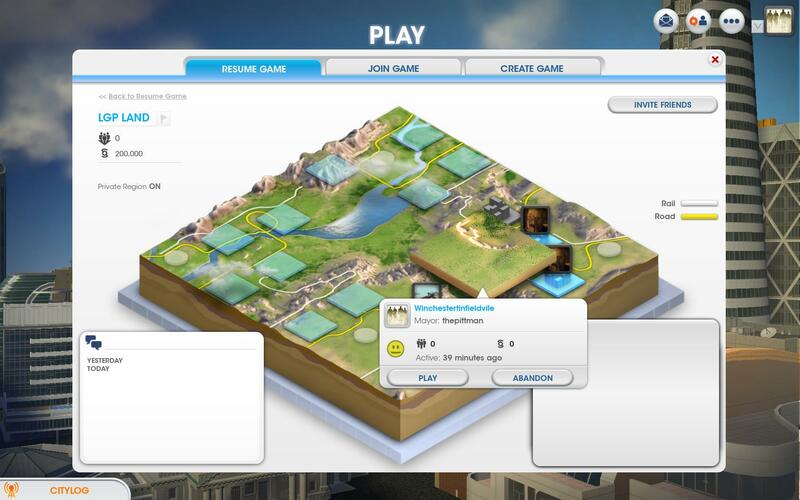 SimCity will run on Windows XP, Vista, and Windows 7. Mac OSX will be supported come Spring 2013. To learn more about the upcoming Mac version of SimCity, please visit this article. Players will need an Internet connection of at least 256 kbps download and 64kbps upload or faster. Intel players will need, minimally, a 2.0 GHz Core2Duo, while our AMD players will need at least an Athlon 64 X2 Dual-Core 4000+. At least 2GB of RAM. 10 gigabytes of space free are required. Players will need at least a 512 MB video card featuring either an NVidia 7800 or better, an AMD chipset of at least an ATI Radeon HD 2x00 or better, or an Intel Series 4 integrated graphics or better. ***NOTE: All the above-mentioned must also have a minimum of 256MB of on-board RAM and Shader 3.0 or better support. It is essential to the game’s performance and stability that the latest possible drivers for your video card are installed at all times. You don't really need an optical drive if you buy it from Origin. I've seen gifting as either being bugged completely or it takes a long time for the money to arrive, due to server issues. Mine money arrived in about 10 minutes yesterday. Both cities had Town Halls, but I don't know if that was a factor or not. Digitalgypsy66 wrote: I've seen gifting as either being bugged completely or it takes a long time for the money to arrive, due to server issues. Which server is LGP's region going to be on? I got your Origin invite, but I don't see any in game invites. Digitalgypsy66 wrote: Which server is LGP's region going to be on? I got your Origin invite, but I don't see any in game invites. Updated the first post. Things are starting out well and we have some cities starting to grow. Post up some screenshots of your cities. We need a public safety addition to someones town hall when you get to that point, I should have almost all the rest already available. I wish there was a way to start over within the region on your site. Actually, couldn't I just build up 50k and then just demolish everything and start over? lol I made a mistake with the road system right at the start that you helped me with Pittman lol. Malkamaniac wrote: Actually, couldn't I just build up 50k and then just demolish everything and start over? lol I made a mistake with the road system right at the start that you helped me with Pittman lol. Good good, I did that stupid tutorial mid game and I had to claim a spot, so I'll abandon it tonight. Letang Is The Truth wrote: Is this game any good? Yes. If you're into city building, economics, sociology, environmental science, anthropology, civil engineering, logistics, or a combination of these...you will like. I'm boycotting the game until the always-online requirement is removed. Is it similar to the old simcity games? Also, what is the specific issue with the DLC? Letang Is The Truth wrote: Is it similar to the old simcity games?